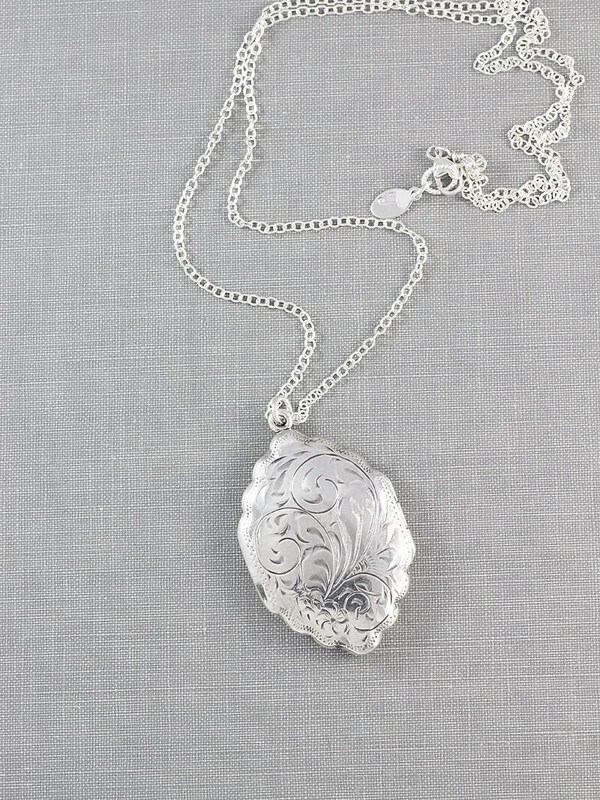 A gorgeous vintage locket is fashioned as a very rare scalloped edged hexagon-like oval with eye-catching floral and swirled leaf engraving. 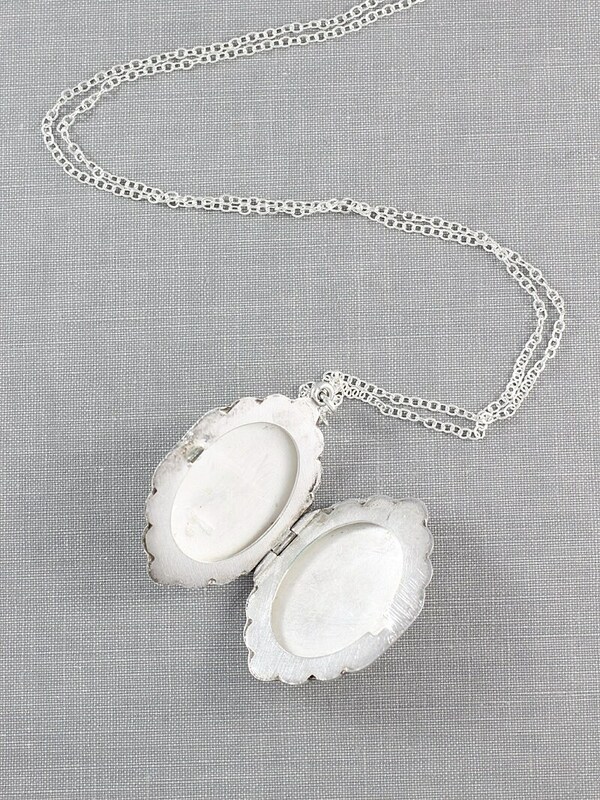 The vintage locket opens to reveal two places waiting for beloved photographs to be slipped inside. 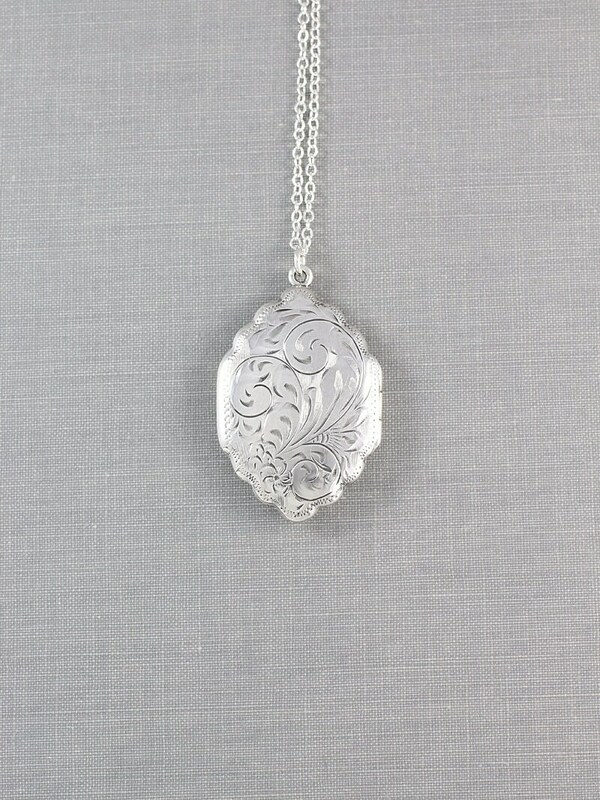 The back of the locket is stamped "Sterling" with the maker's mark. 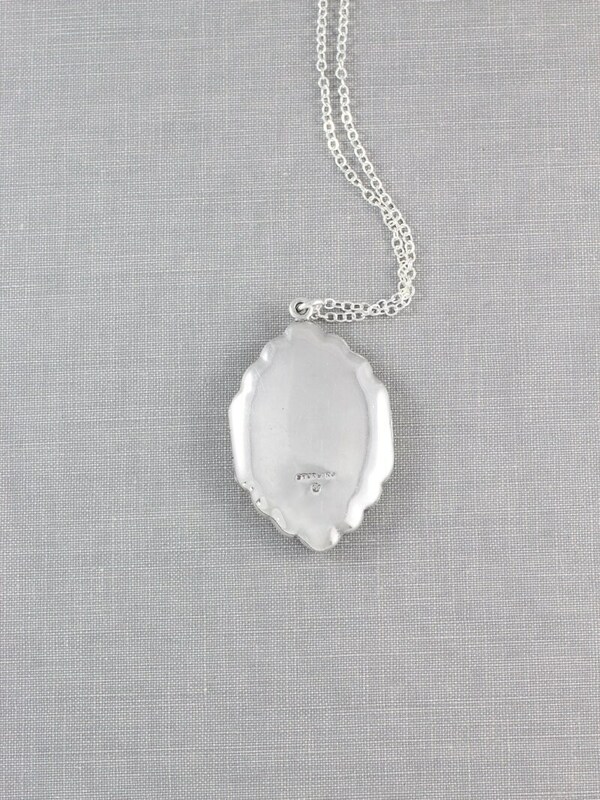 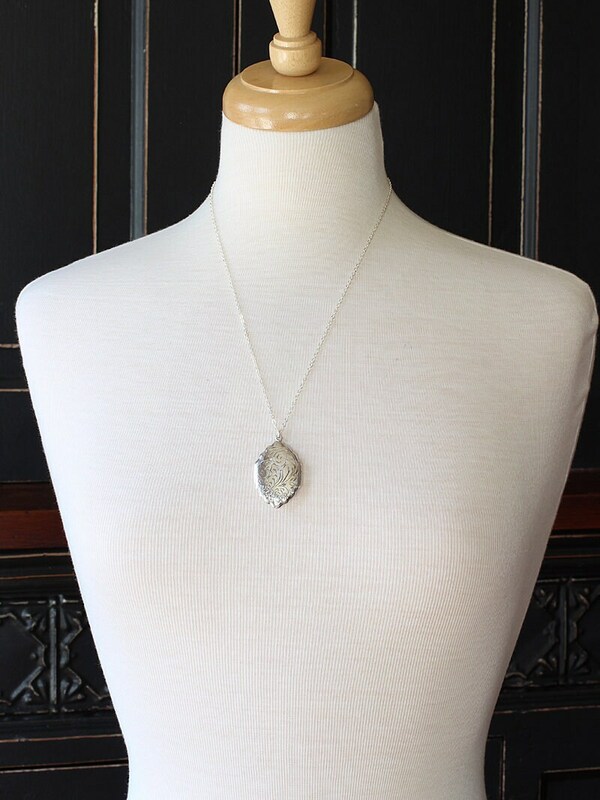 The pendant is set on a new chain of sterling silver hand finished with a trigger clasp and ring.